adidas has teamed up with award-winning Japanese fashion designer Yohji Yamamoto – the man behind the adidas Y-3 brand – to launch a new third kit and adizero F50 cleat for defending UEFA Champions League winners, Real Madrid. 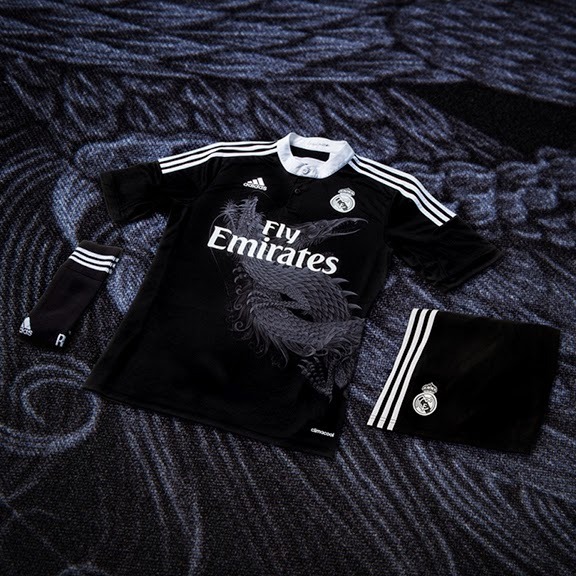 The club’s star players including James Rodriguez, Gareth Bale, Toni Kroos, Marcelo, and Karim Benzema will debut the new looks in this season’s UCL action. In conjunction with the third kit unveil, adidas also releases the latest limited edition Yohji Yamamoto adizero F50 cleat. Following the success of last year’s launch of the Yamamoto adizero F50 boot which drew inspiration from Japanese imperial lion-dogs, the new cleat comes in a striking blue and green colorway and the traditional design has been placed in the context of Japan's modern sci-fi culture creating a spiritual connection between the past and the future.